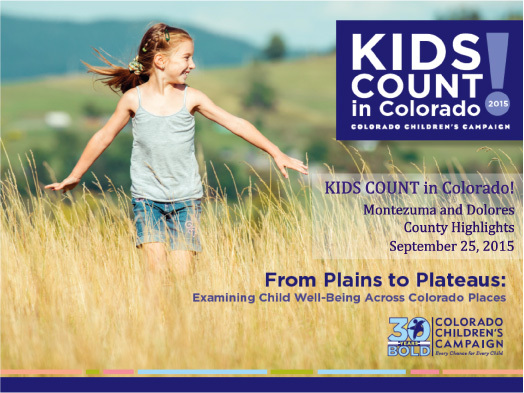 On 9/25/2015 Bill Jaeger, VP, Early Childhood Initiatives, of the Colorado Children’s Campaign, presented the latest data about the state of Children in Montezuma and Dolores counties. The event was hosted by the Montelores Early Childhood Council, and attended by school district and board personnel, EC professionals, MECC staff, the press, and other members of the community. Here are some selected slides. 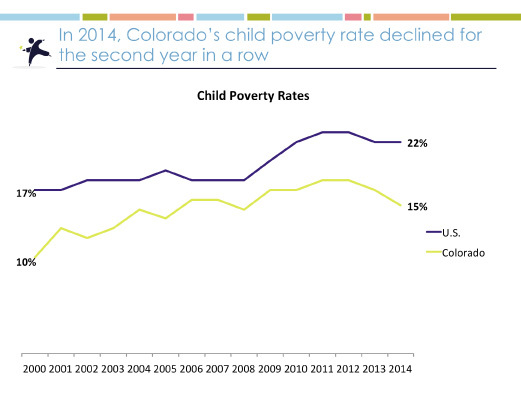 The 2015 Kids Count for Colorado’s kids is out and of interest to all Coloradans. 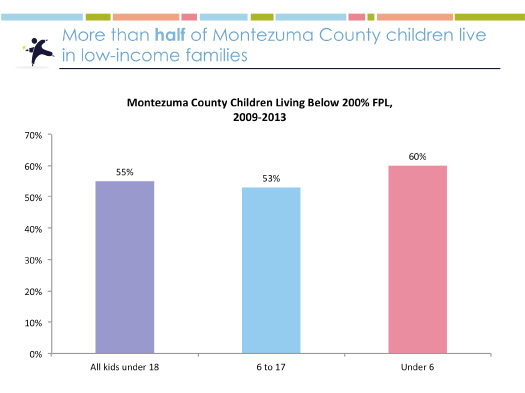 Here are selected slides about the kids in Montezuma County. 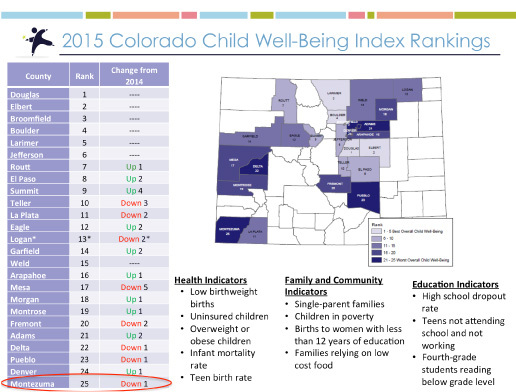 Montezuma County ranked last of the 25 largest counties in Colorado in the Child Well-Being Index, dropping 1 level from the previous year. This slide summarizes the factors that make up the Child Well-Being Index. 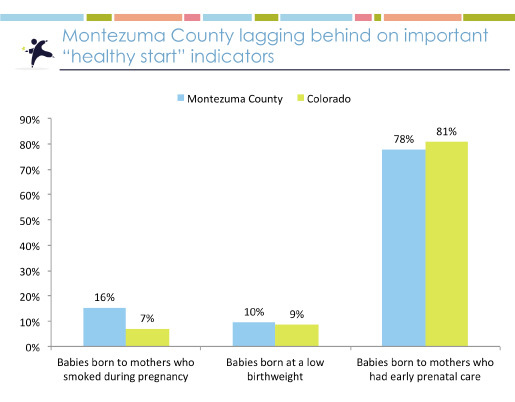 The number of children in Montezuma county declined at the same time that the overall number of children in the state grew. 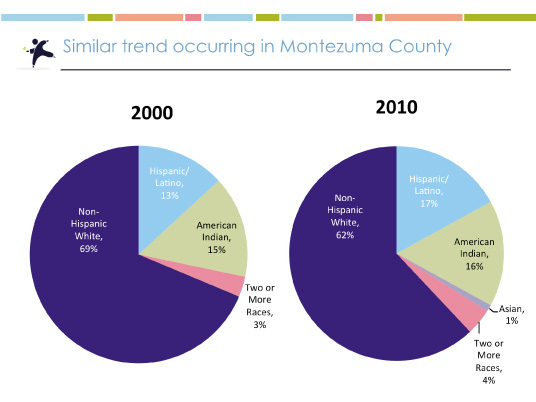 Children of color are increasing in number across the state and in our two counties. 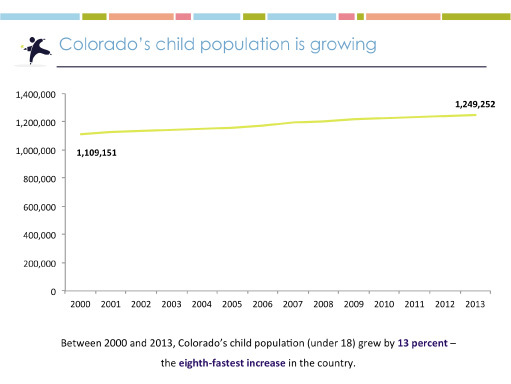 By 2021, children of color will be the majority among Colorado kids. Some good news overall for the kids in our state, although 190,00+ children live in families that are having a hard time making ends meet. Not such good news for the children on our counties, where the poverty rate is well above the state level. What does it mean to be poor? It means that a family of four lives on $23,850 a year. Yet what does it cost for a family of four to live in Montezuma county, including paying taxes, health care, transportation, food, child care, housing, and miscellaneous? It costs $55,956! 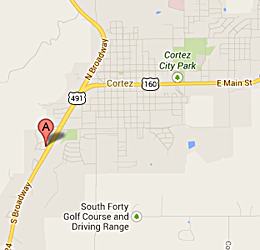 And in Dolores county? It costs $52,956! 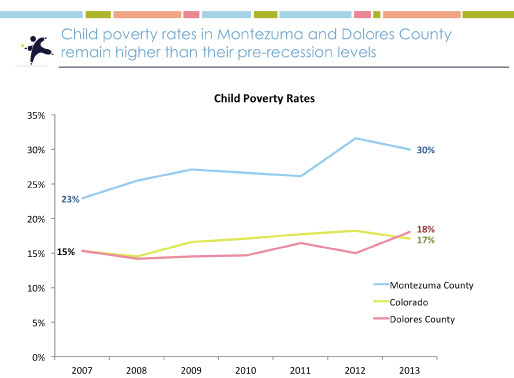 Almost 2/3rds of children under 6 years-of-age live in poverty in Montezuma County. 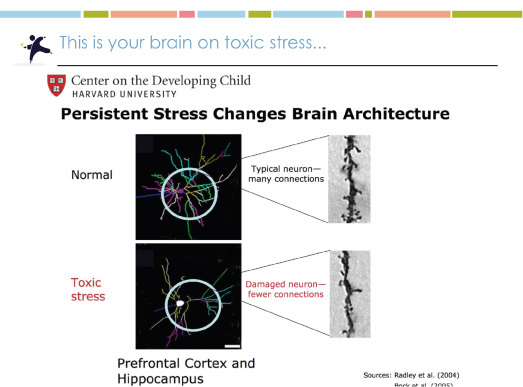 New in this year’s Kids Count presentation was information about toxic stress in early childhood, and the life long effects on the developing brain. 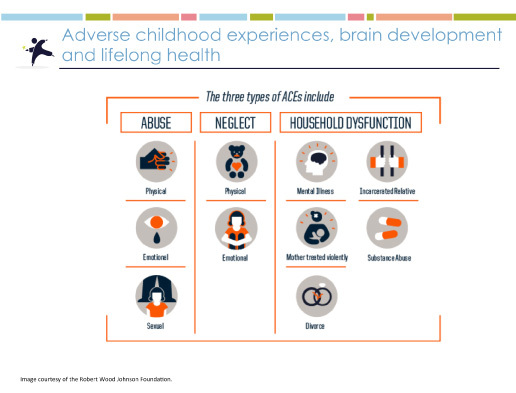 Adverse Childhood Experiences (ACEs) not only affect brain development and health, they affect success in school and life. 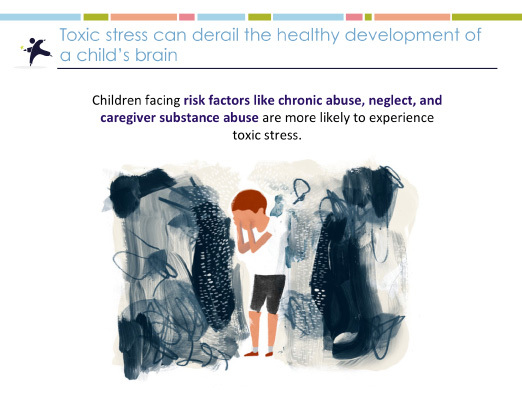 Toxic stress actually changes the physical structure of the brain in areas that control regulation, learning skills, and social relating skills. 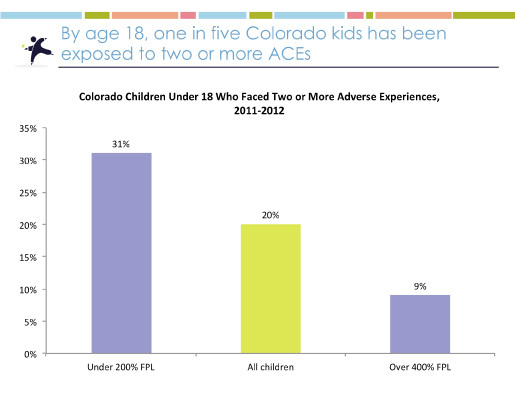 9% of Colorado kids have been exposed to two or more adverse childhood experiences by the age of 6. 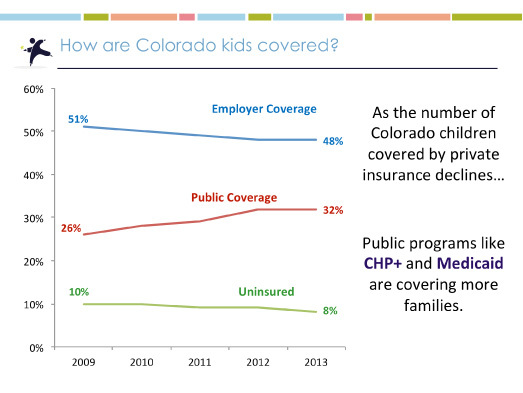 Between 2008-2014 more than 100,000 Colorado kids got health insurance, thanks to public programs. Having health insurance means that families can take better care of their kids by getting them seen by a health care provider when they’re sick. Kids who get health care when they need it miss less school. 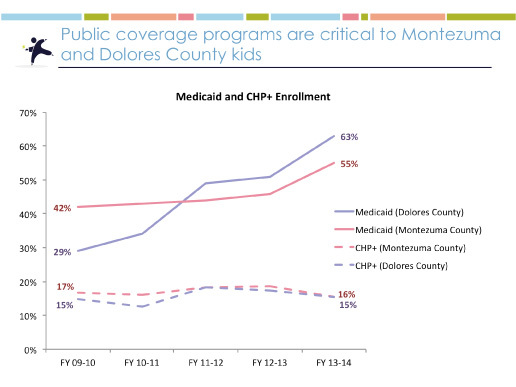 A majority of children in both Montezuma and Dolores counties rely on public programs for health care. 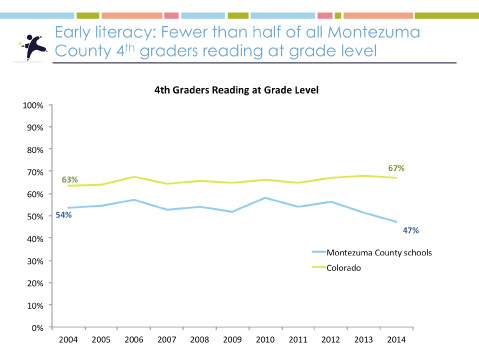 Montezuma County kids aren’t doing well in reading. Remember, success in literacy and reading begins in the “cradle” and on the laps of parents! Read to your children every single day. You won’t regret it. And even worse in math. 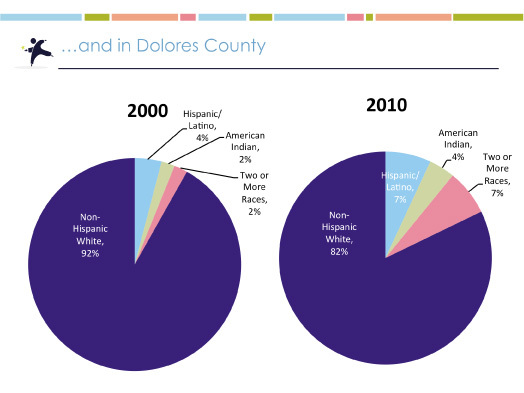 Here are the results for Dolores County. 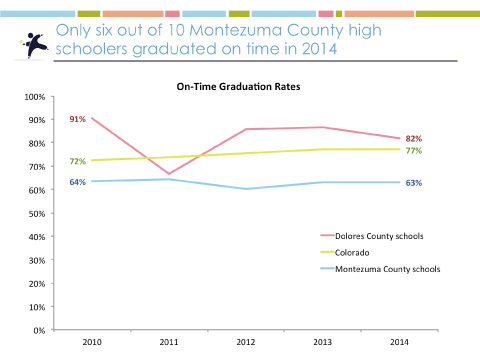 Many kids in Montezuma county drop out of high school or take more than 4 years to complete high school. The outlook is very poor for those without a high school degree to have success in life. 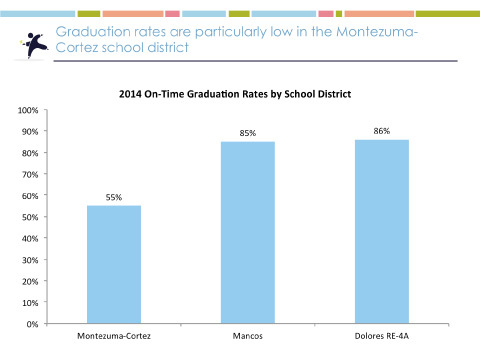 Here are the graduation rates by district. 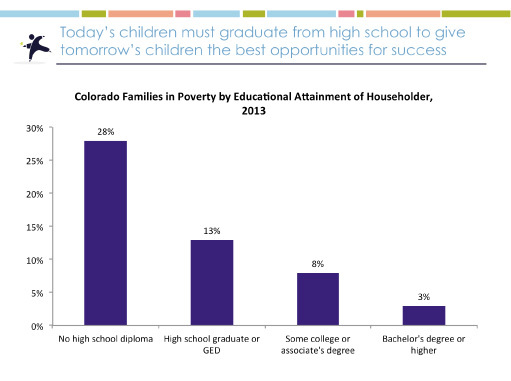 A high school diploma makes success in employment much more likely. 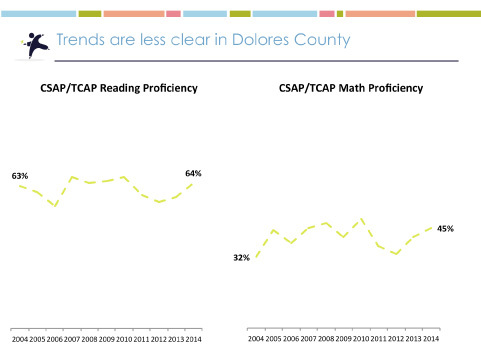 And the revised GED exam is much harder than the “old” one, and many more non-graduates are failing. 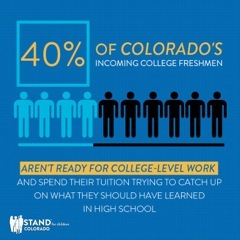 In fact, Colorado is seeking to buy an easier exam so more students can attain a GED. It’s better for all if people graduate from high school! 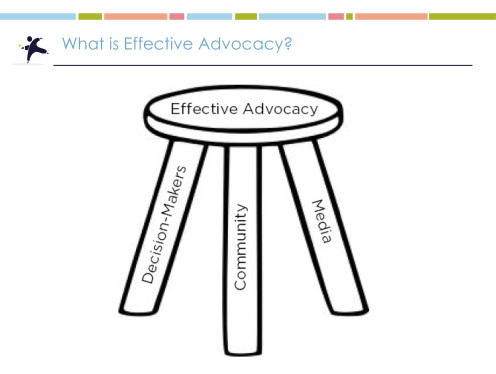 We hope you’re wondering, “What can I do?” Write a letter to the editor, get involved in local early childhood and K-12 programs, make your voice heard. One thing you can do is become a Family Leader by participating in the Family Leadership Training Institute. Free classes, with a meal and childcare, begin in January. Just type Family Leadership Training Institute into the search box of our website & you will be directed to more information.